EfficientIP are a DNS, DHCP and IPAM solution specialist. EfficientIP invented the advanced SmartArchitecture™ concept, which upgraded the management of DNS and DHCP from service level to architecture level. 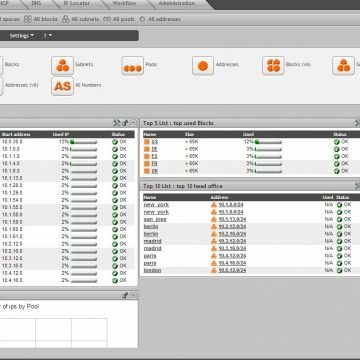 EfficientIP’s SOLIDserver™ suite of hardware and virtual appliances deliver Hybrid DNS solutions, VLAN and IP-address management, as well as extensive DNS and DHCP management.